The 22015 Midstream Catch Kit features a 4.5 oz. graduated, translucent wide-mouth container. It has a detachable sterile funnel, leak proof screw-on lid and sterile fluid path. The kit provides 3 Castile Soap Towelettes and a patient label. Benzalkonium Chloride Towelettes (BZK) contains an anti-septic while Castile Soap does not. 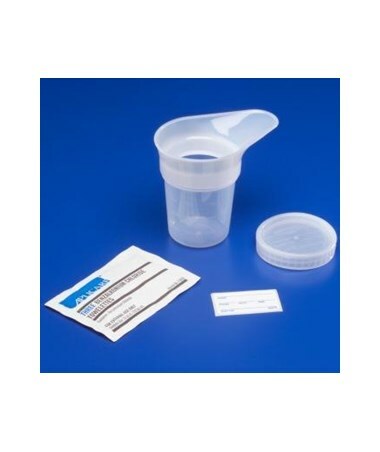 A Midstream Catch Kit is needed to get a specimen (sample) of urine from the middle of the bladder. Urine is normally sterile (no bacteria present). 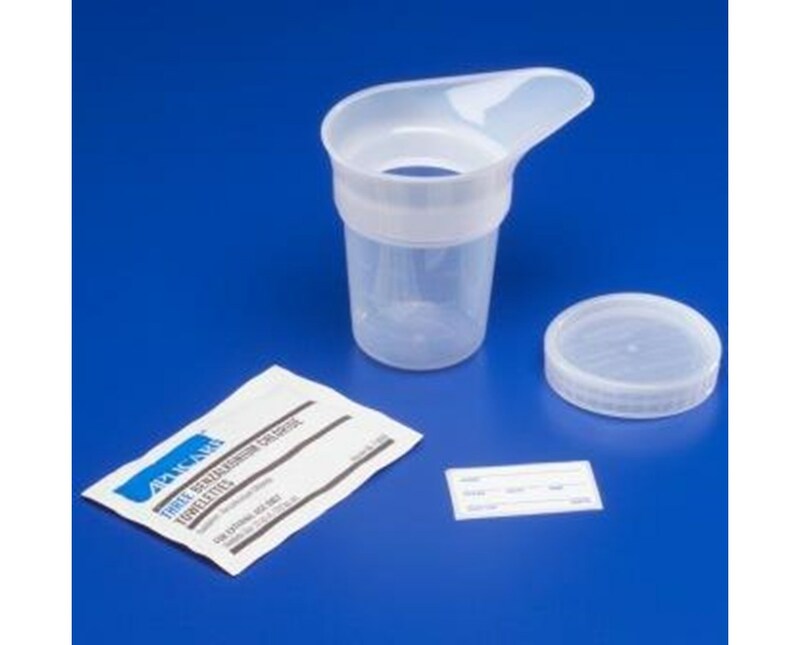 If bacteria are found in the sample, it means that the urine is infected. A midstream sample is best as the first bit of urine that passes may be contaminated with bacteria from the skin. Purchase a Midstream Catch Kit right here online, simply press add to cart above!